For years, companies have seized on the tradition of April Fools Day as an opportunity to communicate a more playful brand identity to the public than in their normal communications. The most famous prank by a company is surely the notorious 'spaghetti harvest' hoax by BBC's Panorama in 1957. The programme broadcast a spoof short documentary film narrated by the authoritative tones of Richard Dimbleby, showing a family from Ticino in the Swiss Alps plucking long strands of spaghetti from 'spaghetti trees' and laying them in the sun to dry. The film was so credible the BBC received thousands of enquiries from viewers wanted to know where they could purchase a spaghetti tree to plant in their own gardens, although the BBC also received numerous complaints from viewers criticising airing the item on what was supposed to be a serious, factual programme. 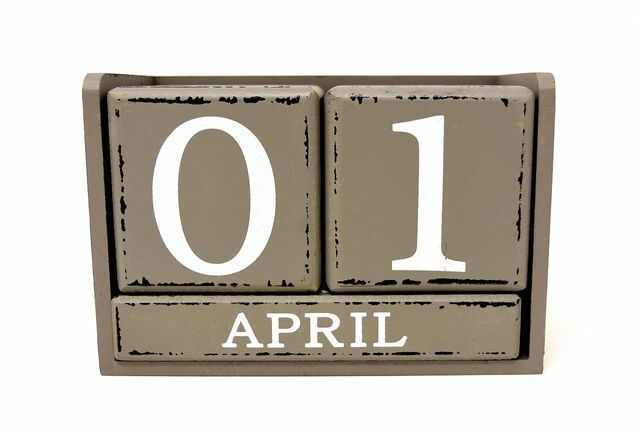 Whilst there were some notable contributions from brands this year, April Fools Day 2019 felt less supported than previous years. Notable examples which bucked the trend included McDonald's making a splash with 'milkshake sauce pots' for dipping fries, and Google's slick, if somewhat obvious, promotional video for Google Tulip, which allows Google Home to talk to your flowers. However, in a sign of the times, Microsoft this year circulated an internal memo asking its staff not to do any public April Fools stunts. Microsoft Head of Marketing Chris Caposella felt that the company had more to lose than to gain by "attempting to be funny on this one day." Equally, both Netflix and Amazon Prime tweeted anti-April Fools messages, tapping into the idea that the public may be tiring of April Fools' jokes by companies. In the modern world of fake news and dissemination of false information on social media, it's possible public appetite for April Fools Day pranks is declining. In a market where consumer trust is a highly prized asset, many brands may be increasingly unwilling to risk damaging their reputation with a potentially ill-received campaign. Public trust in institutions including governments, nonprofits, executive leadership, brands and the media is held to be at an all-time low, with many attributing this trend to the spread of misinformation on social media networks, which is accused of exacerbating the problem. Indeed, the Doomsday Clock is currently set at two minutes to midnight, in large part due to the rise of information warfare and 'steady misrepresentation of fact' which is undermining popular confidence in political structures. In this environment, it is easy to see why many brands may prefer to be more cautious in their advertising. Feeling misled on social media is a common experience for many, and not an emotion many brands want to risk being associated with in the minds of their target audiences. Speaking to GQ, Moira Marsh, academic and author of the paper "Arbiters Of Truth At Play: Media April Fools' Day Hoaxes" argues that practical jokes between friends can help to prove the strength of the relationship. In the current climate this may prove too risky a gamble for many brands to try in the current climate of distrust towards large companies and the media. It seems fake news may indeed be killing the April Fool.